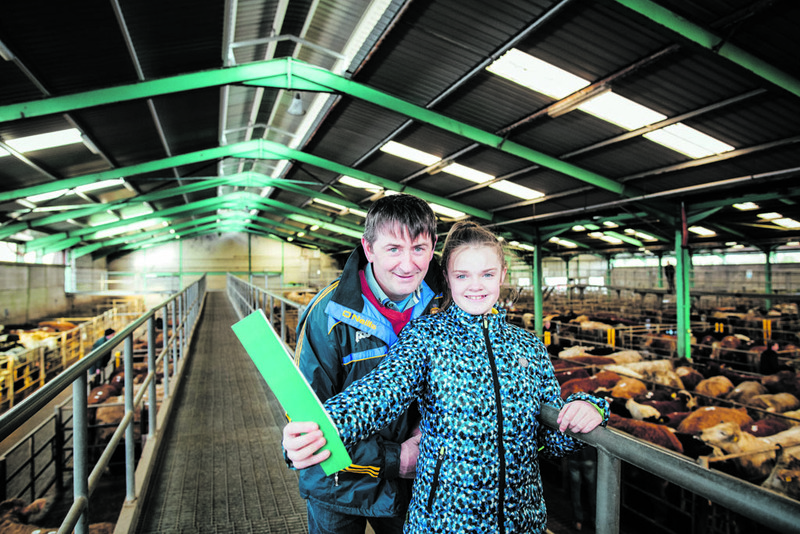 John Fitzgerald and daughter, Julie pictured at Ennis Mart. Photograph by Brian Arthur. CLARE farmers’ affinity with international livestock aid agency Bóthar is set to deepen thanks to a new concept that will allow non-dairy farmers to get behind the charity. The first ever Bóthar ‘Weanling for Heifer’ sale is set to happen at Ennis Mart in the autumn, when more than €15,000 worth of livestock is set to be put to the hammer to support the agency’s ongoing appeal to help Rwandan genocide victims transform their lives with Irish dairy heifers. The proceeds from the sale will go towards purchasing and rearing heifers until they are sent, in calf, to Rwanda, at 18 months old. It is the brainchild of Newmarket-on-Fergus farmer and Bóthar volunteer John Fitzgerald. “Sell one to send one,” was how John summarised his idea, when he spoke to The Clare Champion on Wednesday and he feels it is a good way for Clare farmers to support the valuable work of Bóthar. John expects Clare farmers will make a major contribution. “I have spoken to a number of farmers and they are on board and ready to donate so it looks like we will get a great response and raise a nice amount for Bóthar to do more good work. That’s a very generous commitment by farmers but at the worst of times you’ll find farmers wanting to help out others; it’s in their DNA. I would think it will be the biggest single sale of weanlings for a charity in Ireland,” he said. The difference that receiving an Irish in-calf heifer can make to a Rwandan family is incredible, he added. “It’s unbelievable to be quite honest with you. I’ve seen families out there that are in dire poverty, there are people working there for food, let’s put it that way. Conditions are not bad for the animals on the other side, he said. “People often ask me what conditions are we sending their animals into. I have seen these conditions for myself and believe you me I’d be happy to send any animal there. They’ve plenty of fodder, plenty of water, they have shade, should they need it. Bóthar chief executive Dave Moloney said the initiative was typical of one of their most active volunteers. “John has done incredible work over the years for us. He’s given of his time freely to work here on the ground but also to travel abroad for us with airlifts of animals, making sure that everything is prepared for the flight and okay during it. “The fact that he’s seen for himself on the ground the difference a gift of an Irish dairy heifer, or indeed a goat or pig, etc makes has impacted on him also.